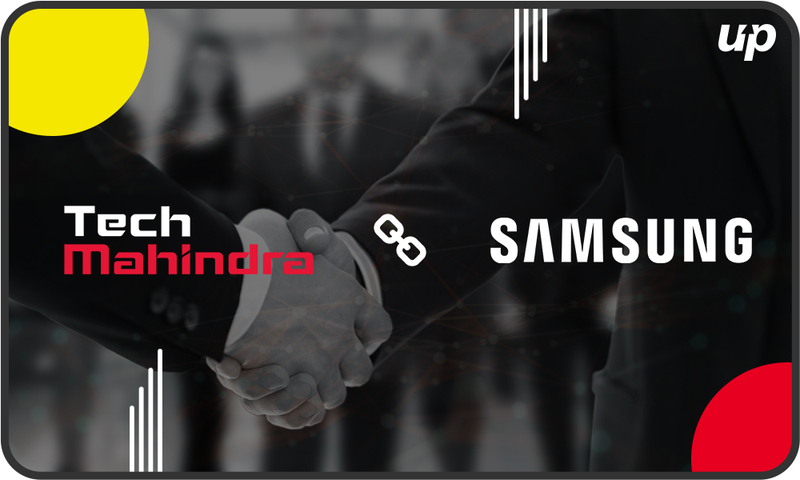 On April the 14th, Samsung SDS agreed to cooperate with Mahindra, an Indian based IT tech enterprise to help it enter the foreign black market. There is an assumption that a division of Samsung is planning on expanding the use for its blockchain platform Nexledger in India, the United States, and Europe. If we dive deep into the agreement, then it is quite clear that both the companies are looking for more business opportunities in the region. Apparently, Samsung SDS will be partnering up with tech Mahindra in further updates of Nexledger. Nexledger is a blockchain security platform that was launched back in the year 2017. Since then, it has been used for finance, manufacturing, logistics and what not. Other than that, it is flexible and scalable with having the abilities to deliver a wide range for customizable application services to trusted clients. For instance, the solution was tested by the Korean Customs Service itself in the area of export customs logistics services. After that, many different organizations took part in the testing, for example, government agencies, shipping, and insurance companies. To be honest, blockchain is an upcoming technology that has been analyzed by a number of customers based all around the globe. For instance, in 2019 it is expected that it will be converted into commercial deployment. Apparently, both the partners consider the concept of blockchain as a crucial aspect in 2019, and they believe that it will help them in supporting their strengths in various geographies, which will ultimately make this collaboration successful. Moreover, Tech Mahindra claims that it will be contributing to improving Nexledger capabilities by taking part in the development process of Nexledger platform. Quite recently, Samsung SDS announced that it’ll be launching its own blockchain accelerator technology, Nexledger Accelerator, after its successful testing with Hyperledger Fabric. As a matter of fact, the company is claiming that this solution will improve the whole transaction processing speed. In the month of March, yes! Last month, Mahindra was reported to have trained 70% of its employees to work with new technologies, that include AI, IoT (Internet of Things), blockchain and cybersecurity. Besides that, Tech Mahindra had recently used the IBM blockchain technology to make an invoice discounting solution between its automotive division and suppliers. IBM states that the company is also planning on exploring the possibility of using the blockchain to tracking down the details and improving automatic details.